The Best Event Marketing blogs from thousands of top Event Marketing blogs in our index using search and social metrics. Data will be refreshed once a week. Event Marketing newsletter is a comprehensive summary of the day's most important blog posts and news articles from the best Event Marketing websites on the web, and delivered to your email inbox each morning. To subscribe, simply provide us with your email address. Tysons Corner, Virginia About Blog We’ve created this blog as a resource to the entire meetings and events ecosystem. Both event and hospitality professionals will find valuable tips, best practices and insightful data to help you stay ahead of trends in our industry. From business strategy to how-to tactics, our goal is deliver useful content that will make the Cvent Blog your go-to online resource for the latest meeting and group business information. Facebook fans 26,659. Twitter followers 44,852. About Blog Skiddle is a primary ticket outlet and events guide based in Preston dealing with event bookings, registrations, promotion and online ticket sales. Read blog to find out more about what's happening in Skiddle and the events/ticketing industry. Facebook fans 140,320. Twitter followers 2,332. Facebook fans 48. Twitter followers 446. San Mateo, CA About Blog Marketo, Inc., offers the leading Engagement Platform that empowers marketers to create lasting relationships and grow revenue. Event marketing can refer to a brand-hosted event—online or offline—or participation in a third-party event via a presentation, exhibit, or display. Facebook fans 175,662. Twitter followers 155,444. Ireland About Blog Eventbrite brings people together through live experiences. Discover events that match your passions, or create your own with online ticketing tools. Facebook fans 307,306. Twitter followers 6,213.
toronto, ontario About Blog Tigris' blog features industry innovations, news & highlights from the wild & wacky world of experiential marketing. Facebook fans 48,344. Twitter followers 34,491. CA About Blog Ins'Tent is a high end manufacturer of Custom Promotional Pop Up Tents, Canopy Tents, Pop Up Canopy, Outdoor Tents, Logos, Printed Pop Up, ez up Tents, Event Tents For Sale. Read the latest & greatest news about the trade show industry. Written by our talented editorial team, our trade show blog delivers useful event marketing tips. Facebook fans 280. Twitter followers 331. London About Blog MPG is a fast-growing specialist marketing agency and consultancy focused on marketing services to support the growth of B2B events. These events include conferences, exhibitions, tradeshows and awards events run by B2B events and media organisations, as well as branded events for organisation investing in events as a B2B marketing channel. Facebook fans 257. Twitter followers 761. Facebook fans 154. Twitter followers 206. About Blog Retro Events & Marketing was created by Emma Hall, former event and marketing manager for Plum Blossom Productions. Read blog for Hustle Business Tips, Marketing & Social Media Marketing. Facebook fans 1,427. Twitter followers 902. Duluth, GA About Blog At Nth Degree, we share your passion for building a stronger brand and growing your business. This blog aims to support your marketing goals, to help you grow as a professional and to offer helpful insights into trade show and event marketing - you know, just one area of your expertise! Facebook fans 798. Twitter followers 261. Downtown Los Angeles About Blog BeCore is an Experiential Marketing Agency driven to create and develop compelling experiences. We strategize, plan, and execute Experiential Marketing. Facebook fans 2,027. Twitter followers 5,635. 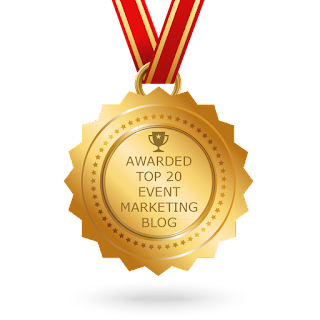 CONGRATULATIONS to every blogger that has made this Top Event Marketing Blogs list! This is the most comprehensive list of best Event Marketing blogs on the internet and I’m honoured to have you as part of this! I personally give you a high-five and want to thank you for your contribution to this world.